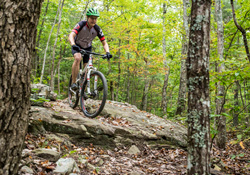 Raccoon Mountain is one of the largest and most popular singletrack mountain bike trail systems in Chattanooga. Several trails circle the TVA Raccoon Mountain Pumped-Storage Plant, with difficulty ranging from intermediate to advanced. 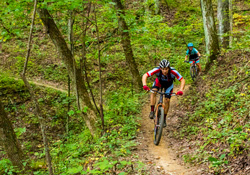 The Southern Off-Road Bicycle Association of Chattanooga and the Tennessee Valley Authority entered into a land management agreement resulting in about 30 miles of singletrack trails. The area is so large that it never feels crowded, even with perfect fall conditions. You’ll find lots of fast, flowing trails as well as some rocks and technical obstacles. Whatever you like to ride, you’ll find it at Raccoon Mountain. Enterprise South Nature Park is located approximately 15 minutes northeast of downtown. It is a one of the more beginner-friendly singletrack trails, but there are plenty of options for intermediate to expert mountain bikers as well. SORBA Chattanooga made an agreement with Hamilton County resulting in about 25 miles of singletrack trails with some unique features, like a dirt jump course. 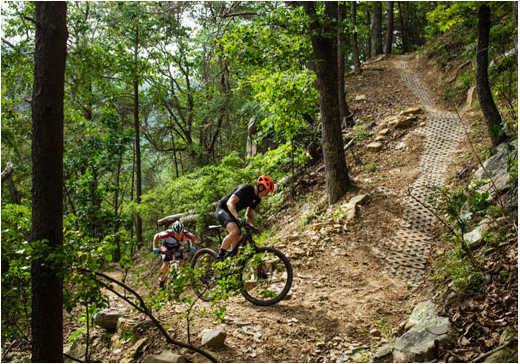 Five Points is one of the newest trail systems in the area, located about 20 miles from downtown atop Lookout Mountain. 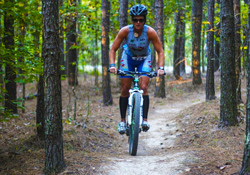 It features some of the most diverse trails in the area, catering to all ability levels. 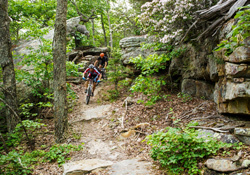 Five Points is made up of about 20 miles of singletrack, multi-use trails that also connect to two beautiful places (Cloudland Canyon State Park and Lula Lake Land Trust) for additional mileage. You&apos;ll find close to a dozen loops that each take about 15-20 minutes to complete, making it very easy if you&apos;re interested in planning a shorter ride. Stringer&apos;s Ridge is nestled in the urban heart of North Chattanooga just minutes from downtown. It&apos;s made up of about 10 miles of singletrack trails ranging in difficulty from beginner to intermediate. Once you enter this beautiful forested area, you’ll find it hard to believe that you’re not miles away from civilization. The trails feature plenty of climbing—in fact, level trails are rare—so be prepared to work. But the trails are all lots of fun with plenty of places to go fast. White Oak Mountain Biology Trail is located about 20 minutes northeast of downtown Chattanooga on the west end of Southern Adventist University, directly behind the Outdoor Education Center. The trail is made up of about 18 miles of easy to difficult terrain and beautiful views of Ooltewah Valley. The trail is a stacked loop system, meaning that the easiest trails are closest to the parking lots and the hardest trails are further away. For more experienced riders there are steep climbs, downhills, a few jumps, some step ups, drop offs, and creek crossings. At the top of the ridge there are 2 miles of boulders. 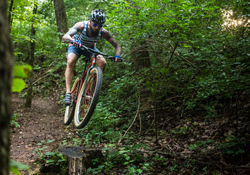 This is the only Chattanooga mountain biking destination where it&apos;s legal to ride after dark (hours are from dawn to 10 p.m. year-round). This trail system also drains very well, and all but the flattest sections usually dry off quickly after a rain.